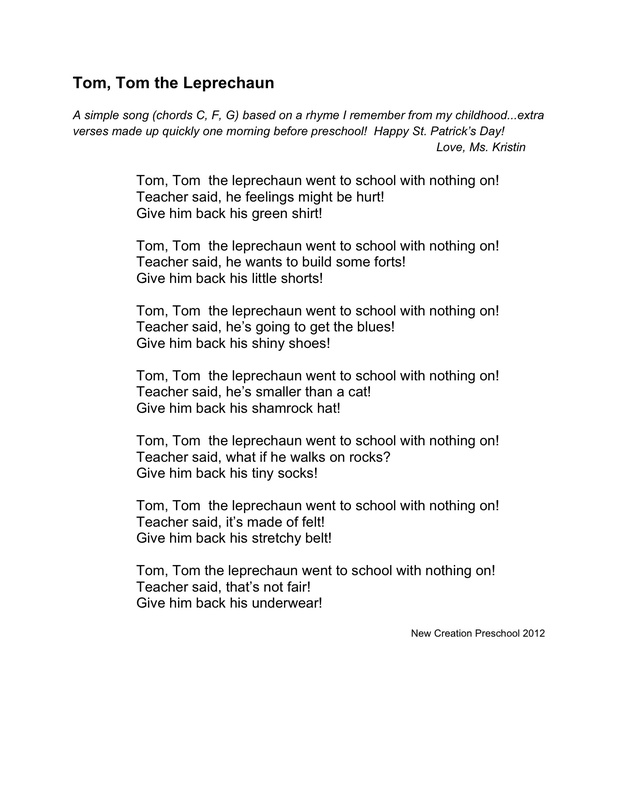 l is for leprechaun song! by and for the children of New Creation Preschool. Happy St. Patrick’s Day! Kristin….Have been a fan for a couple of years now…..Love all you do….Very apparent that you love being a teacher of those little ones…..love all the developmental activities…. ! I have to thank you for sharing this… my mum also ‘thanks’ you, as I couldn’t get it out of my head all weekend, and I sang it out loud the whole time while her and I went shopping.